First, go to the Rapidshare link you want to download from. 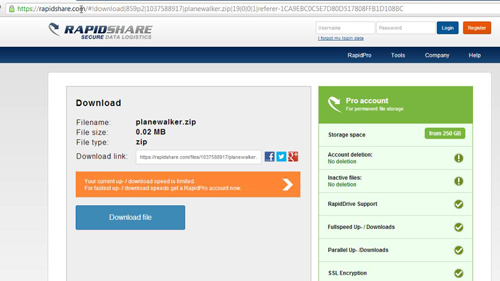 Here we are using sample link, you can go to a different file you’re attempting to download that is hosted on RapidShare. These can be found on various sites around the web. 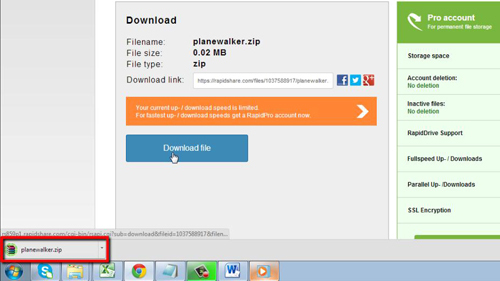 Once you’re at the download page for your RapidShare file, verify that the link is correct and the file name matches up with what you’re attempting to download. When you’re ready to go, click “Download file” and the file should begin downloading right away. You should see it appear in the bottom of your browser in the download tab, and it will be located in your default downloads folder. That’s all, you now know how to perform a Rapidshare download.